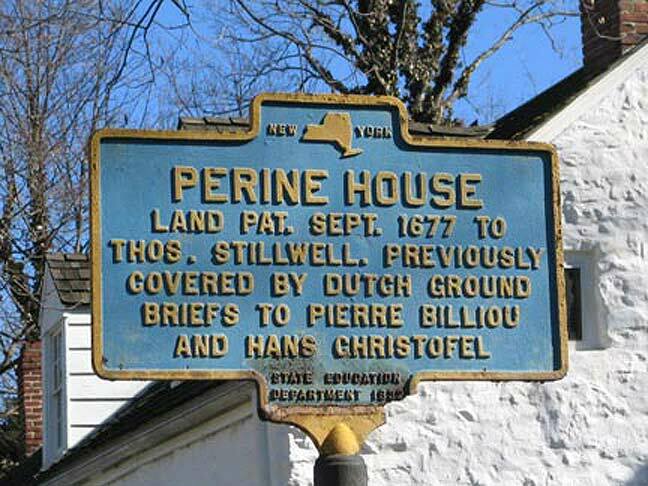 At more than 350 years old, the Billliou-Stillwell-Perine House, located on its original site at 1476 Richmond Road in Dongan Hills, is the oldest surviving building on Staten Island, and one of the oldest buildings in New York State. Its earliest section was constructed ca. 1663 by Pierre Billiou, a native of French Flanders who arrived in 1661 as part of a small group of settlers that established Staten Island’s first permanent settlement, part of the Dutch colony known as New Netherland. A second structure that abutted the original stone house was added ca. 1680 by Pierre Billiou’s daughter Martha and her husband Thomas Stillwell. Subsequent owners included the Britton, Dongan, Holmes, and Perine families. Enslaved people and workers likely lived in the house as well, and the house was expanded as needed by the occupants. Additions dating to ca. 1760, ca. 1790, and ca. 1830 were added during the occupancy of the Perine family, who lived in the house from ca. 1760 to 1913. In 1915, the property was purchased by the Staten Island Antiquarian Society in recognition of the house’s importance in telling the story of New York’s early history. In 1922 the Antiquarian Society merged with the Staten Island Historical Society, and since that time the Historical Society has maintained the house with the assistance of resident caretakers. In its long history, the house has witnessed major events and dramatic changes. Billiou and his family lived in the house when the English took control of the Dutch colony in 1664. Thomas Stillwell was part of the English political system during the colonial period, serving as Constable, Sheriff, Magistrate, and Member of the Colonial Assembly. 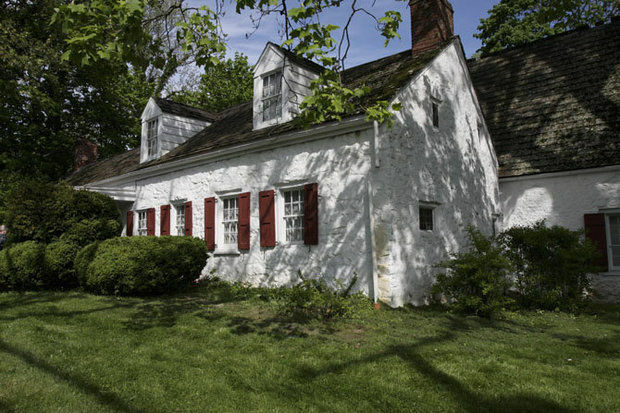 During the American Revolution, when Ann Perine lived in the house with her seven children, British troops occupied the property and reportedly caused damage to the site by cutting down a tremendous number of trees. After the war ended, Ann, as the widow of a Loyalist, attempted to get reparations from the British government; a copy of her claim letter is preserved in the archives at Historic Richmond Town. Also in the archives is a copy of Ann Perine’s will, from 1806, which names three enslaved people who were considered part of her estate. They were identified only with the names Peter, Phoebe, and Mike. For a few years in the late 1910s and early 1920s, Alice Austen and Gertrude Tate operated the “Box Tree Tea Room” in the house. Over the centuries, the surrounding area has transformed from a sparsely inhabited rural setting to a busy residential and commercial neighborhood. 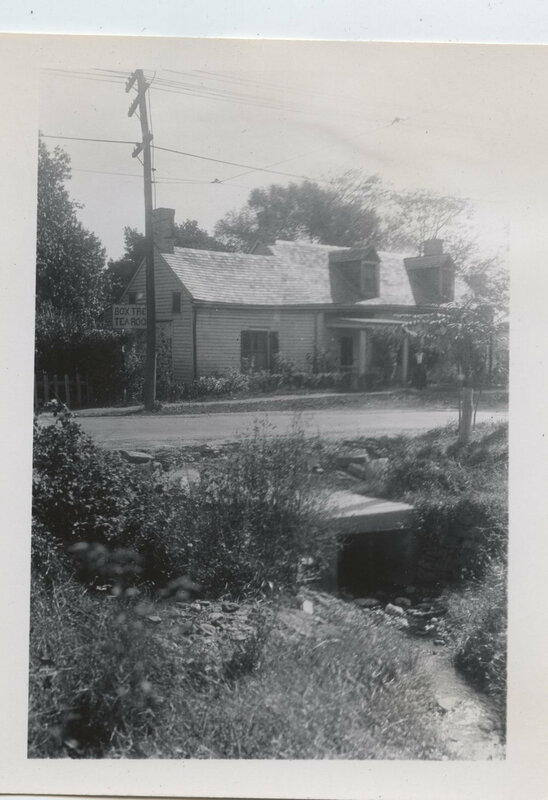 Today, the house is primarily notable for being the only remaining architectural evidence of the first permanent settlement on Staten Island. It was once surrounded by farmland that extended to marshes near the shore at today’s South Beach. The configuration of the two earliest sections, which are adjoined and have separate original entrances, is very unusual. Another notable feature of the Billiou-Stillwell-Perine House is the contrasting roof heights, pitches, massing and materials of the house. The Billiou and Stillwell portions that form the ‘center’ of the house as a whole are stone, while subsequent ‘outer’ additions are wood frame. While the stone houses as a whole are not necessarily reflective of their owners’ respective homelands, Flanders and England, the structures do exhibit particular features that each bring to mind their original owner’s heritage. The Billiou House’s jambless fireplace and wide plank wood flooring are traditions from the area where Pierre Billiou resided in Leyden before he emigrated to America. The Stillwell house has features of English influence, such as the casement windows and the fireplace. The three subsequent additions to the house represent various features of vernacular 18th- and 19th-century American architecture and are characteristic of building types once common in the northeast region but now quite scarce. The building was designated an official New York City landmark in 1967, and was added to the National Register of Historic Places in 1976. In 2013, Historic Richmond Town raised funds for a new roof on the Billiou-Stillwell-Perine House with the help of the Richmond County Savings Foundation, the Staten Island Advance, and dedicated community leaders. Extensive new research into the history and structure of the house was completed in 2017, generously supported by the Richmond County Savings Foundation. Purchasing a picket naming plaque is a way to leave a memory that will be preserved through history - all the while aiding in the restoration of the Perine House's picket fence. Click to donate. Scott Lobaido speed paints the Perine House to raise money for its restoration.